You’ve just finished an intense workout session and are feeling proud. You put in maximum effort and look forward to seeing the results this brings. Think you’re now done? If so, it’s time to think again. Planning and consuming a good post-workout meal or shake should be on top of your list of priorities at this point. You body is currently in a catabolic state (a state of being broken down) and you need to reverse this, moving into an anabolic state that encourages the repair and rebuilding of muscle mass tissue. If you can successfully do this, you will be on the way to getting stronger, leaner, and more defined. Now is not the time to skimp on nutrition however. Your body has specific needs that must be met during this time or you will suffer from a slow recovery period, which may potentially keep you away from the gym longer. The good news is that proper post-workout nutrition doesn’t have to be difficult. By learning the right foods to eat in the time period following a workout, you can put together your meals and be on the way to success. First let’s talk about what type of foods you need to be eating at this time. For best results, you’ll want to focus on lean proteins coupled with carbohydrates. Fat should be kept out of the picture right now as it will only slow down the digestion process, increasing how long it takes the nutrients to get into your muscle cells. This is exactly opposite what you are going for right now. If there is one time in the day where it is okay to eat some simple sugars, post-workout would be it. The reason for this is that simple sugars will spike your blood glucose levels, which causes insulin to be released into the bloodstream. Normally, high insulin levels are to be avoided as this can increase the rate of movement of calories into body fat cells. But, immediately post workout, those calories aren’t being directed to body fat cells. Instead, they’re being directed to your muscle tissues thanks to enhanced levels of insulin sensitivity. Your muscles are depleted and in need of extra nutrition. The insulin will help push the protein and glucose into the muscle cells, kick-starting the entire recovery process. So don’t fear simple carbs entirely post-workout. Now it is okay to have them in moderation. Couple them with protein and possibly some slower digesting carbs as well (to help sustain you and prevent a blood glucose crash) and you’ll be set. How Much Food Should You Consume? How many grams of carbs and protein should you be eating? This will heavily depend on the workout you just completed as well as your goal set. If you are looking to burn fat, you’ll take in fewer grams of carbs compared to if you were hoping to build muscle for instance as you simply need to keep your overall calorie level in check. Likewise, if you just completed a grueling hour long bootcamp session, you’ll need more carbs and protein compared to if you did a 20 minute moderate paced cardio session. The more demanding that workout was on your body, the more nutrition you’ll need right now. Generally speaking though, plan to consume around 20-30 grams of protein along with 25-75 grams of carbohydrates depending on your goal and that workout. If it was an easier workout or you are seeking fat loss, using the lower end of those numbers while if it was an intense workout or you are hoping to build muscle, use the higher end of the spectrum. Fat should ideally be kept to no more than about 5 grams – the incidental fat you may get along with your carb and protein choices. So now that you have a better idea of what to be eating and how much, let’s talk specifics. Which foods will be ideal during this time? Here is a list of the top 8 choices, four protein options and four carbohydrate options. Pair one of each together for optimal success. When it comes to getting your protein needs met, you simply can’t beat a quality whey protein powder, especially if you opt for a whey isolate protein powder. These have been designed to break down rapidly in the body, so you’ll get the precise nutrient delivery that you need. Look for one that contains around 100-120 calories and 23-25 grams of protein. Egg whites are next up on the list of ideal protein choices. They are fat free, relatively fast digesting, and have a very good absorptive value. Meaning, your body utilizes the protein found in egg whites extremely well. Plus, egg whites are fast to prepare and highly versatile, so chances are, you’ll rarely get bored of them. Moving on, white fish is also an excellent option. Tuna, cod, and perch are all very low in fat and rich in protein, so make for an ideal post-workout meal. If you’re really pressed for time, you can also go with canned light tuna, just do keep in mind that since canned tuna does contain a few more carbs, you’ll want to eat this in moderation only. One nice thing about white fish, along with egg whites as well, is you can eat a lot of food volume for few calories. For those who are dieting and are feeling like they aren’t getting enough food to eat in general, this can be very beneficial. Finally, the last protein source to consider is chicken breast. 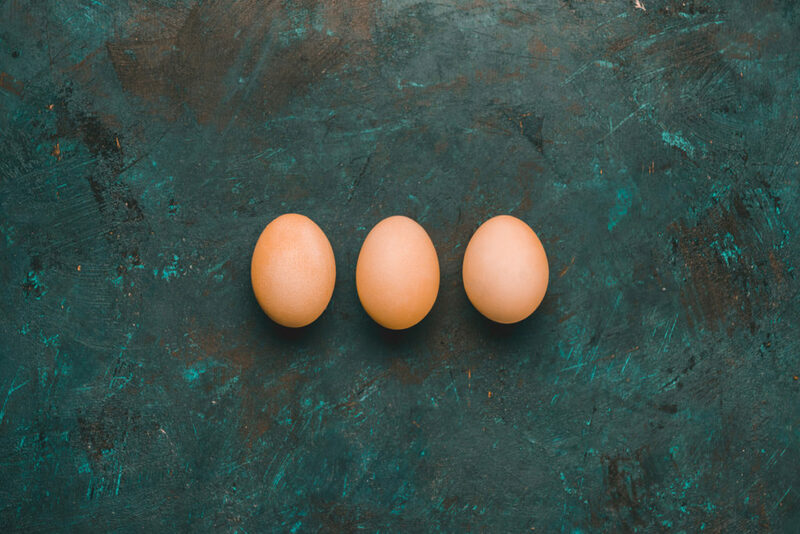 While chicken won’t be as quick digesting as whey protein powder will, it’s still low in fat, making it a good option for this time period. Just do be sure when you prepare your chicken that you aren’t adding any extra high calorie sauces or oils that will slow down the nutrient delivery process. A second great carbohydrate source for the post workout period is a banana. Bananas are terrific options because they contain both simple fruit sugars as well as starches, which are a form of complex carbohydrate. So you basically get 2-for-1 with this simple piece of fruit. Plus, it’s easy to grab and go. Taking a scoop of whey protein isolate powder with you to the gym along with 1-2 bananas can make for an ideal post-workout meal. 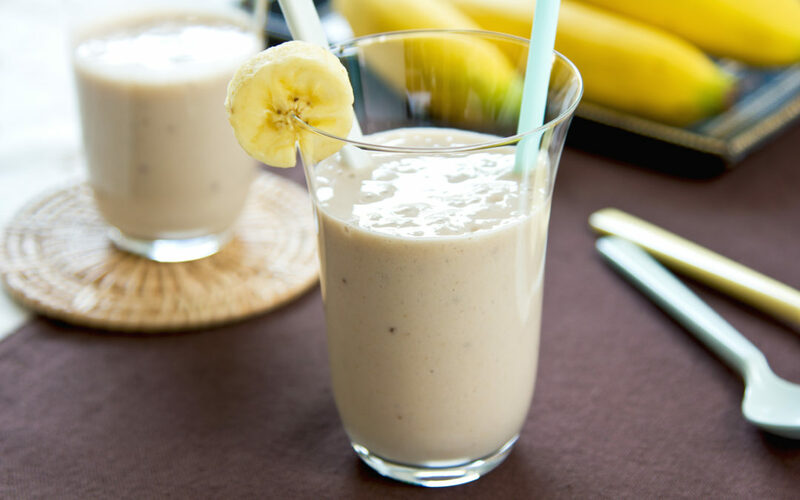 Bananas are also a natural food, so will provide you with an excellent dose of nutrition as well, including the important potassium your muscles need to maintain steady muscle contractions. The third option to consider is the sweet potato. These are great as they have that delicious sweet taste that will combat your cravings and at the same time, are filled with nutrients and dietary fiber. This helps you avoid a blood glucose crash shortly after eating them, but at the same time, will still allow the nutrients to get to the muscle tissues at a relatively fast speed. Try them with a little maple syrup drizzled on top as a delicious post-workout treat. The bit of extra sugar from the maple syrup will be okay at this time. Finally, white rice can also make for a good post-workout carbohydrate as well. It’s will spike blood sugar levels slightly faster than brown rice, so is more ideal for this time. 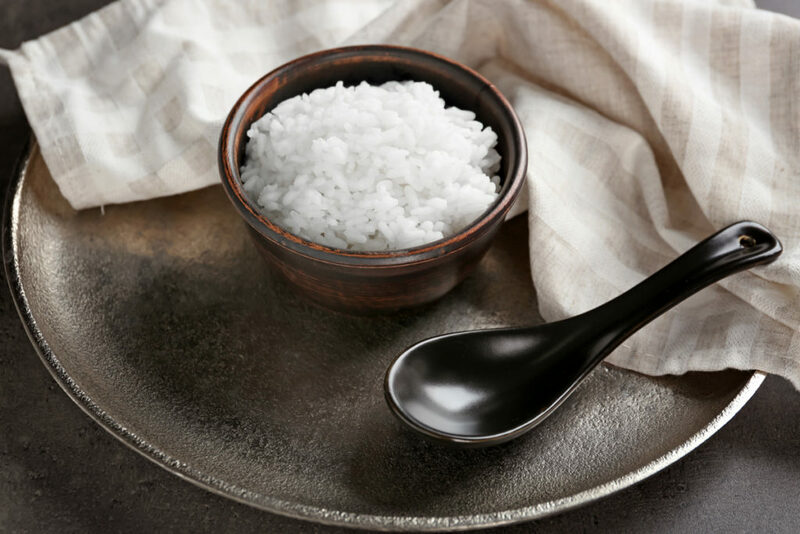 White rice is also easy and fast to prepare and can keep in the fridge for a few days, so that makes it easy to always have on hand to bring in your gym bag. When you were a kid, did you have peanut butter and jelly sandwiches (jam for the Aussies)? Minus the PB and turns out, this combo of carbs could be the perfect treat post-workout. While it is higher in simple carbs, that is okay at this time, so feel free to eat up. Just do watch your serving size to ensure you don’t overdo things. One or two servings of those rice cakes with jam can help replenish muscle glycogen levels in a hurry and satisfy your cravings. So there you have some of the top post-workout food choices you might want to consider. Fueling your body right at this important time will help ensure that you are maximizing the results from all that hard work you’ve just put in, so be sure that you don’t skip over it. This list is by no means exhaustive, so any other foods that follow along with these guidelines can easily be subbed in as well.